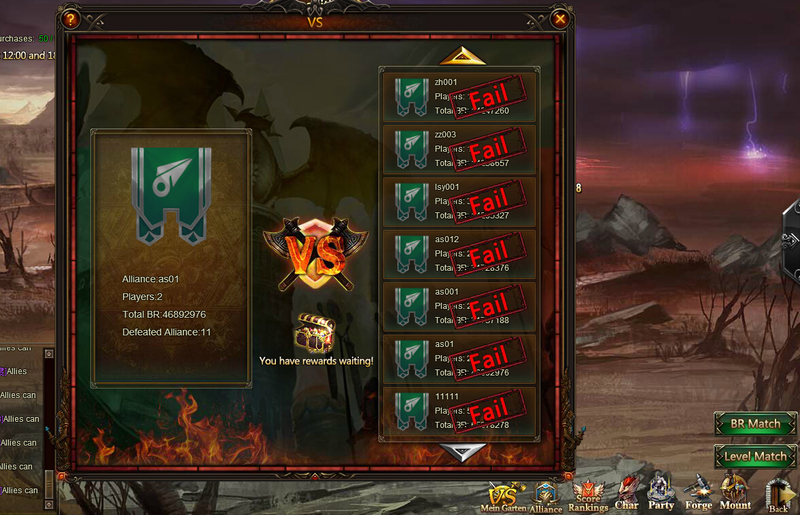 Alliance Expedition is a cross-server PVP event, which is a grand war among alliances. To succeed in this war, you need to improve your individual performance, and you also need to make the whole alliance united! Only best of the best will win King's Division Emblem! Alliance Expedition is regularly held each week. Each Monday and Tuesday system will automatically select top 70 Alliances as challenge target. The original top 70 alliance is selected according to the number of members, Alliance Level and the total battle rating. All Alliance members including alliances member that are not top 70 can join in Expedition War. 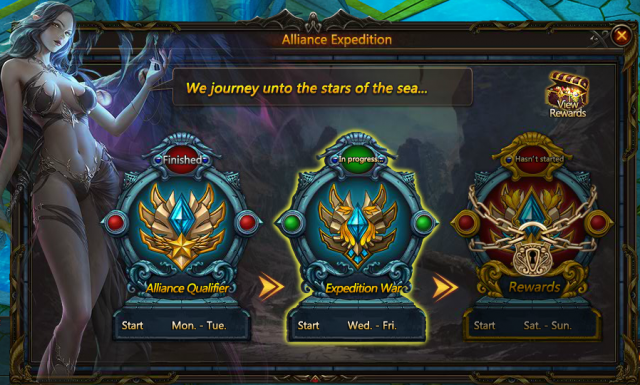 In expedition War, all alliance member will have 10 free attempts daily to challenge other alliance members, and 10 more challenge attempts can be gained daily at 12:00 and 18:00. 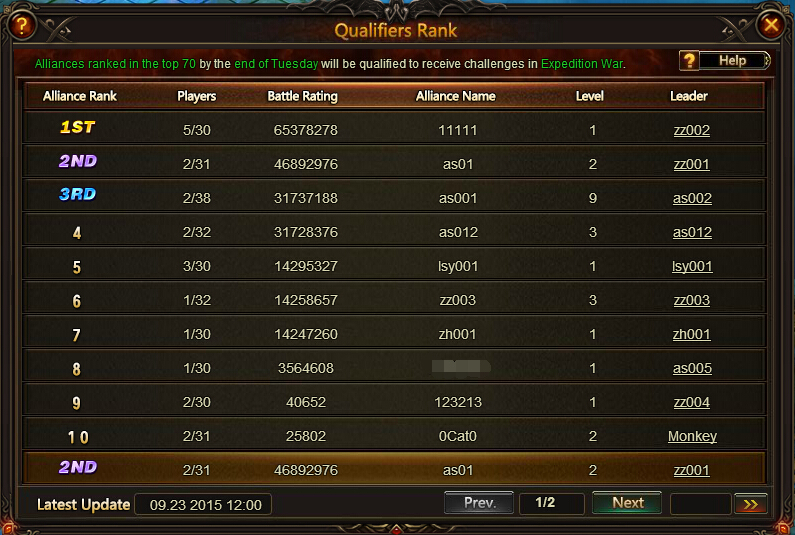 All alliance will challenge alliance ranked 70th to 1st in sequence. When your alliance defeated all the target alliance members, then the whole alliance will receive both each challenge rewards and Alliance clearance rewards. If your alliance is not strong enough how can you beat other alliance? Don' worry about that, each time you fail in challenging an opponent, the opponent will be deduced 0.5% of his stats and the reduction can be stacked. 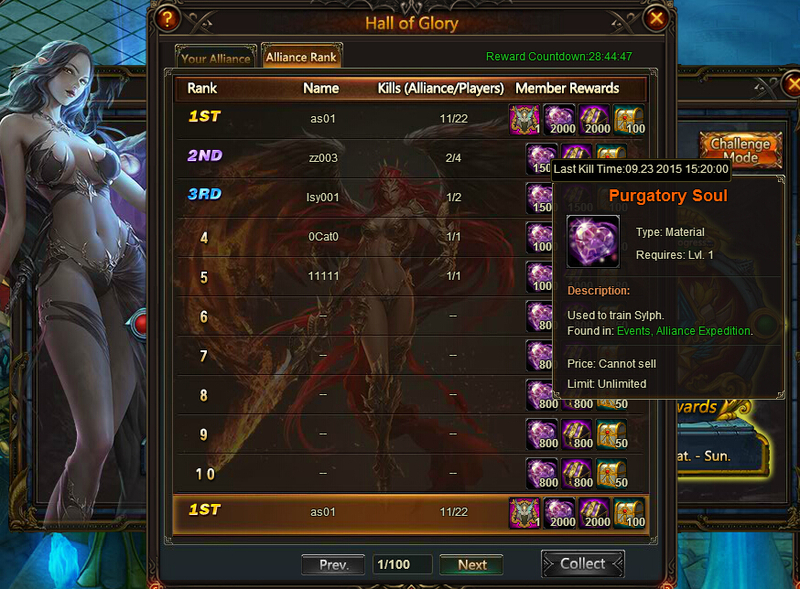 The final stage is rewards stage including two parts, namely Inner Alliance reward rank and Alliance Rank. The better you and your alliance perform the better rewards you will get. And in the final stage you will still get chance to challenge the strongest alliance or challenge your own alliance. More rewards will be gained. The main reward is Purgatory Soul and it can be used to train Sylphs. And final winner alliance members will win King's Division Emblem. You will also gain other resources in this stage. Sylph Hall is a place where powerful sylphs dwell, shrouded in mystery. It’s time to awaken the sylphs from a dead sleep! 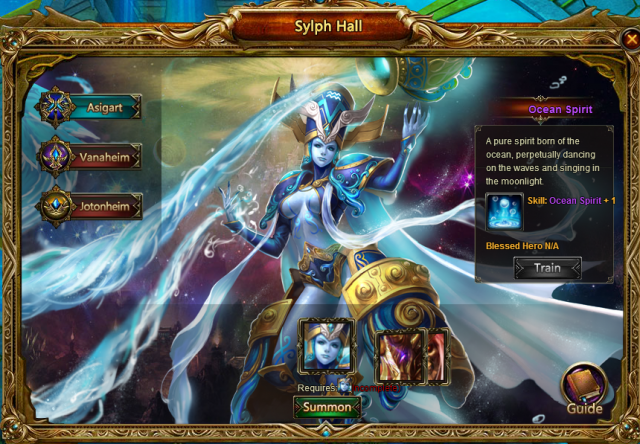 All heroes in Sylph Hall possess mystery powers and skills. They can be set to bless your heroes in battles after you summon them. To summon a Sylph hero you need to collect Sylph Hero Badge. Good news is one of the Sylph Badge can be gained through Loops. Don't miss it! There are three different tabs in Sylph Hall. They are unlocked according to your character level. After summon a sylph, you can train him/her to boost the stats. The necessary Purgatory Soul can be gained in Alliance Expedition. 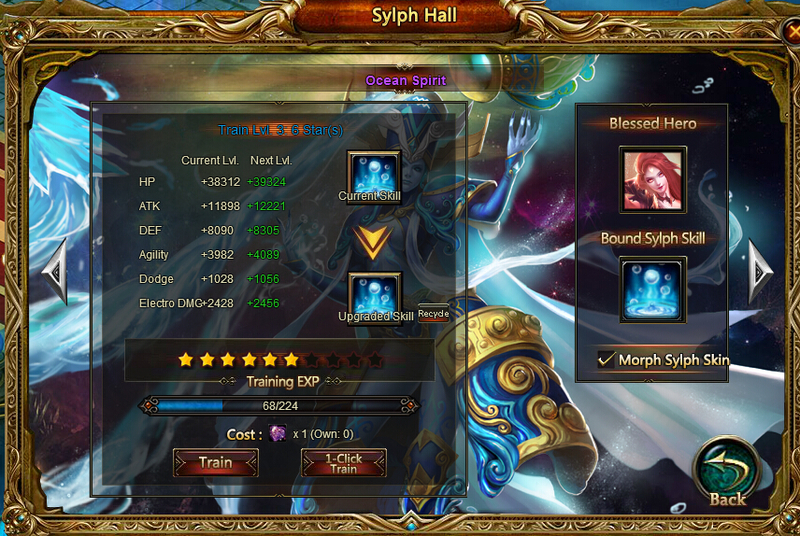 If a sylph blesses a hero, you can choose the hero skin by checking the Morph Sylph Skin button. If you summon a new sylph later, you can recycle the Purgatory Soul you spent on the former Sylph. More information please check in game after tomorrow's version update.